Discover the insights, tools, and workshopping you need to be a confident, enthusiastic, efficient, and effective executive leader. Next event in San Diego, Fri/Sat February 1-2, 2019. 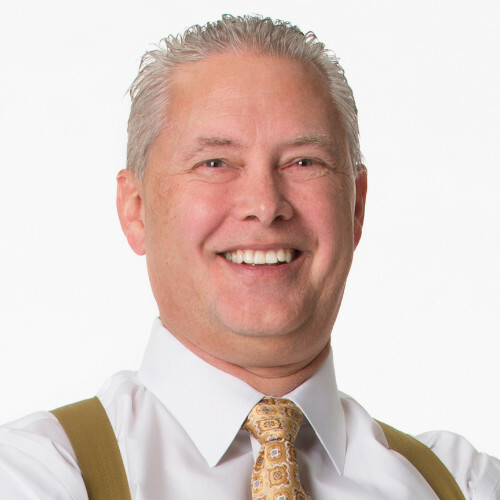 Mark S A Smith: Our guest today is Kevin Eikenberry, who for the past 25 years has spent his days writing, speaking, coaching, consulting and training all to help leaders make a bigger difference in the world around them. Kevin just released his brand new book The Long-Distance Leader, Rules for Remarkable Remote Leadership, with Wayne Turmel. 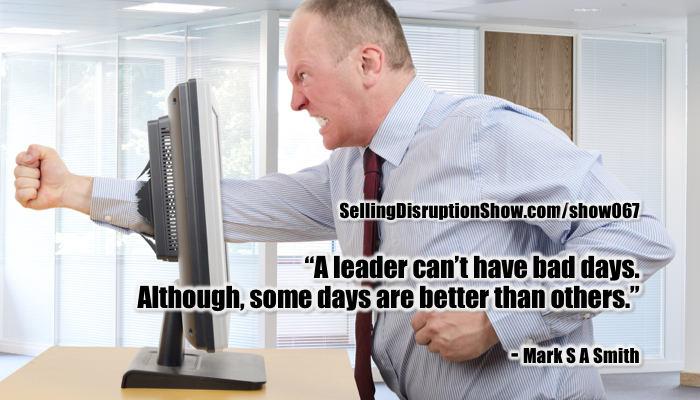 We are going to talk today about how do you, as a long-distance leader, disrupt the competition and prevent disruption. Welcome Kevin. Kevin Eikenberry: Hey I’m glad to be here. Thanks, Mark for having me. One thing we should add to what I just said, and maybe makes me more valuable to listen to, and that is I’m not just writing about, speaking about, blah, blah, blah this leadership stuff, I’m leading a remote team, and have been for a number of years, so hopefully I’m coming at this from a very practical place as well. Mark S A Smith: I love it. The fact that you walk and your talk is such an important thing. So, today more and more teams are remote, and our millennial family and friends insist on lifestyle versus career, which means they’re probably going to want to a remotely led person. What does this mean to business? Kevin Eikenberry: Well, what it means is that whether you wanted it or now, whether you realized it or not, you’ve got remote teams. And in fact if you’ve got one remote team member you’ve got a remote team. Some people want to connect this Mark and think, “Well all of my folks are out there so I’ve got a remote team,” a lot of folks have what we would call a hybrid team, some people here, some at the hither and yawn, some people are here some days. We walk into office buildings and we see empty desks, with pictures and such on them, and computer monitors, which means that people are there sometimes, they’re just not there all the time. So this is here to stay. Your point from a millennial perspective, from the perspective of the world we live in now of full employment, when people are looking for the opportunity to have that flexibility regardless of their age. This genie is out of the bottle. We got to learn how to do it better than most of us are doing it now. Mark S A Smith: Well, fundamentally technology is radically shifted. 10 years ago the reason we went to the office is because that’s where the network cable from the computer center terminated to our computer. And that’s also where the telephone line from the phone companies terminated to our desk set. Today, all of that is on a mobile device. In fact, it was just reported that more corporate data is accessed through phones than any other device. What that means is that we no longer need to go to work, we just work. Kevin Eikenberry: Which has all sorts of implications as implications. Some leaders listening may say, “Oh, that’s awesome, they’ll work 24/7.” Or, “I can work 24/7.” We can have a long conversation on how that’s not the right answer. We know that, that’s happening. In fact some people that used to commute that now aren’t, if you had an hour commute a lot of people are basically working those two extra hours. Mark S A Smith: That’s right they are. Kevin Eikenberry: That was on a commute, and so there’s positives to that of course, but we both know, and most everyone listening knows that just because you’re working more hours doesn’t mean you’re getting more done, or you’re getting the right stuff done either. Mark S A Smith: That’s right. And we also miss out on some of that camaraderie, which generates creativity. And so we have to figure out a way to not only get the work done and have life balance, but also keep that creativity rolling. So how are you approaching this? Kevin Eikenberry: That is a really important point there. Harvard Business Review, other people have had famous studies that say, “Hey, we can get more done when we’re working remotely” and people that scratch their heads at that I say, “Well, have you ever worked the week between Christmas and New Years?” And they go, “Yeah, then there was no one there, I got all this stuff done.” Well the people that are working from home, there’s never anybody there. They can always get a lot done, which means Mark they can be very productive at personal individual isolated work. Kevin Eikenberry: But that doesn’t mean that they’re going t necessarily be good at it, or be thinking about the collaborative stuff that we’re talking about. So we’ve got to really focus on how to do that better, and we can certainly use technology to help us, but that comes down to a leader setting expectations, providing space and time, and being a good example to making that happen. It’s a good place to start. Mark S A Smith: I think that last part is so critical, especially with millennials. As Baby Boomers, I believe that you and I are both Baby Boomers, based on our history in the industry, we were taught three strikes and you’re out. We’d give people the benefit of the doubt. Millennials will not. One and done. And so if you’re not a leader that walks the talk millennials will bail fast. Kevin Eikenberry: We don’t have a lot of conversations with coaching clients about this, and I maybe come at the millennial thing a little different than a lot of people do. Mark S A Smith: Bring it on. I want to hear it. Kevin Eikenberry: Here’s why, because I think that at some level it’s about the fact that we’re in our whatever ages, right, we’ll say 50’s, that’s where I am. I’ve got a different span of life experience than that person who works for me, and by the way I do have people working for me from age 20 to age 71. I’ve got everybody. But I think a lot of times what we think, as the gray haired folks, are calling the millennials is simply the fact that they’ve got less life experience. And so yes, I think there are some differences that I think we over generalize to our detriment and to theirs as well. Kevin Eikenberry: I had this conversation with a coaching client the other day, if I got someone who’s 25, and they’ve been in the work place for three years and they say, “Well I’ve been in this job for a year,” you’re saying, “Well, yeah, it’s a year,” but to them it’s a third of their working life. And that was true for us when we were 25 too. Yes, there are some things that have changed, but to your point call it a millennial issue or call it full employment issue, or what ever you want to call it, but the fact is it’s really easy if they decide to bail, to bail, one strike, two strikes, whatever. Pretty easy to go find another job right now, and hey headhunters everywhere love remote worker, because there’s a low barrier to get them to move. Mark S A Smith: That’s right, it’s very low. It’s really easy. You don’t have to pay to relocation expenses. Mark S A Smith: They can go back to work. Kevin Eikenberry: Of course, we know that if that’s all that’s happening they’re not going to be very successful, there’s a whole bunch of stuff we ought to be doing as leaders to our earlier point. Fundamentally it’s not hard. And you know what the number one reason people voluntarily leave a job is right? They fire their boss. Kevin Eikenberry: It’s all of us. It’s you and I and everyone who’s listening to us, if you’ve got turnover issues don’t be looking over the fence, be looking in the mirror. If you’re not doing it well to start with we got a problem. If we’re not doing it well remotely we just compounded the problem, because we take being a leader, which is complex, and make it even more complex when people aren’t all in the same place. Kevin Eikenberry: Yeah, it’s almost always. It’s the number one reason. Mark S A Smith: Yeah, it’s the bosses fault, so what that means is that if you want to keep your people that you have you’ve got to become a better boss. How do we do that, and specifically for better teams, that’s what your work’s about. Give us the insights. Mark S A Smith: Yeah, they sure do. Kevin Eikenberry: And we’re talking about some little hinges here that make a big difference for all the reasons we’ve been talking about. Mark S A Smith: That clarity of communication become so important. 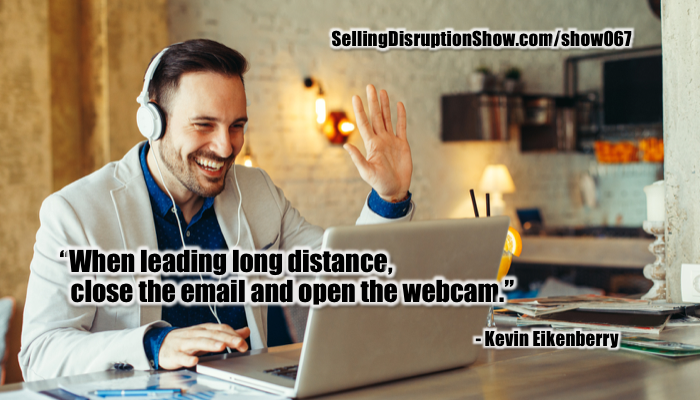 You and I are recording this via Skype while the audio, our listeners enjoying it, you and I actually have eye contact, through the video, and that becomes such an important technology for remote leadership. How do you recommend people use technology to improve this opportunity? Kevin Eikenberry: Well lets just start right there. Turn off the email and open up the webcam. Let’s just start right there. There’s a Tweetable moment for you all. But listen, you got people on your team that don’t want to use the webcam, but those are the same people that aren’t afraid to face-time their grandkids, so part of that’s just simple resistance to change. Well part of it is people working from home, and so they can dress however they want so they think, “Oh, I can wear my bunny slippers.” I’m fine if you wear your bunny slippers, but you need to be dressed from the waist up, so that you can be on a phone call. I’m happy for people who are flexible. That’s not my point, but if you’re a woman you may need to brush your hair, guys too, for that matter. But the point is, here’s how I got about that with our team. Kevin Eikenberry: I’ve got some people more comfortable with the webcam than others. We got a bunch of different ways we can have a conversation, and so when the conversation occurs that we’re going to meet, immediately we decide how that’s going to happen. Are with going to use GoToMeeting, are we going to use Slack are we going to use webcams? So what platform are we going to be on the phone? That’s all baked in to the conversation. So with some members of my team it is almost without saying, “We’re turning on the webcams.” Some members of my team are fine if I suggest it. Some members of my team would just as soon I would forget that they had a webcam, and that’s changing. And those people are getting more comfortable, for some of the reasons we talked about, tried to be aware, and help them be more comfortable, but here’s the thing, because there are times, when to your point right now, this conversation is way better because you and I can see each other. And the same thing will be true for a 100 conversations you’ll have with your team members, including the reluctant webcammer, right? Kevin Eikenberry: So you got to just encourage them to get there. Now what I’ve done is say, “Hey, we don’t have to do it every time. I’m okay with that.” However, we’re going to do it sometimes and we’re not only going to do it on the times when they’re going to go, “Uh-oh, this must be a hard conversation, so Kevin wants to be on the webcam.” So in other words this is about being intentional, right? Kevin Eikenberry: So I can acknowledge the difference, and be okay with that, some of the time, and go to their preference some of the time. Some of the time we really need the webcam, but we can’t only go then, because I don’t want them going, “Uh-oh.” I mean that’s like telling someone on a Friday, Mark, you’re going to give them feedback on Monday. Mark S A Smith: Ooh, no don’t do that. Kevin Eikenberry: Ruin their weekend, right, “Hey we need to have this meeting on the webcam, ‘Uh-oh’,” so we can’t go there, so we’ve got to make it comfortable, and accommodate people a little bit, but directionally, that’s where we got to go, because that’s the closest we can get. It’s still not the same, as if your and I were in the same room, and it’s certainly if we were working together, it’s not like our webcams are on all day, so you can see if I’m at my desk, right? So it’s still not the same as being co-located. It’s a tool we ought to be using, and we got so many different platforms. Everyone who’s listening has got multiple ways they can do it, and if your team members have got their webcams taped over, time to change it. Kevin Eikenberry: When they’re to talking to you. Mark S A Smith: … not surfing in their underwear, that’s fine. Kevin Eikenberry: I don’t want to know about that. Mark S A Smith: Yeah, right exactly. So tell me about some of the insights in your book. Give our listener a little bit of insight into some of the things they can find in your latest book, The Long-distance Leader. Kevin Eikenberry: We’re going to talk some about some leadership principles that we think apply broadly. And then we’re going to get at some key issues that are different when we’re leading remotely, like how do we build trust remotely? How do we built our team remotely? How do we have more effective virtual meetings? How do we pick the technologies to use, and how to use them more effectively? For pretty much everyone who’s listening to this your probably not doing that part well enough. We could just stay on the technology, although we clearly wanted to write a book that wasn’t about technology. Kevin Eikenberry: We’ve got to talk about it, we’ve already talked about it some here. And the last section is if you’re in the C-suite here, you’re high level organization thinking about how do we develop our leaders in general, as it relates to the long distance or remote piece, because you’ve got some leadership development stuff, and maybe it’s working great, or maybe it’s not, but whatever you’ve got probably isn’t addressing these issues. And you need to be thinking about adding that in, baking it in, adding on to it. I might know some people who can help you with that, but the point is that you need to be thinking about that. There’s a lot of this book about very practical stuff that any leader at any level can do, and if you’re a leader of remote leaders, what you should be coaching them too, as well and expecting of them. And some technology stuff, of course, the last section really about that organizational look that there’s challenge. Mark S A Smith: Interesting. Let’s talk about how do you build trust remotely? That is I think quite a hot topic these days, because a lot of people are selling remotely, not just leading remotely, but doing all kinds of business remotely. So how do you generate trust in a remote situation? Kevin Eikenberry: First thing is, we go back to what I said earlier, it’s the big I word, you’ve got to be more intentional, you got to be thinking more about it, right? So one thing is if we’re going to build trust, with others, we have to know that we’re on the same page. So we’ve got to work hard to build common purpose, and mutual understanding of purpose, so that people don’t misinterpret intention. Don’t misinterpret our agendas, et cetera. So if we can get purpose clear, that’s helpful. People listening, most of them, until 15 minutes, didn’t know me from Adam. What did you do right off the bat? You mentioned my work and my book to do what? To show that Kevin must know something about this. Mark S A Smith: A little bit of credibility. Kevin Eikenberry: Credibility plays a role in building trust, and so if I’m in the office, I probably have a pretty good clue who knows how to solve my Excel problem, or can help me figure out this, that, or the next thing. When we’re working remotely we may not, so people have to have an understanding of confidence, and have a way to show that and share that. And then there’s connection, we’ve got to have some level of relationship. If you look up trust in the dictionary, it is both a noun, trust exists, right? There’s trust here, and trust is a verb, I trust you. 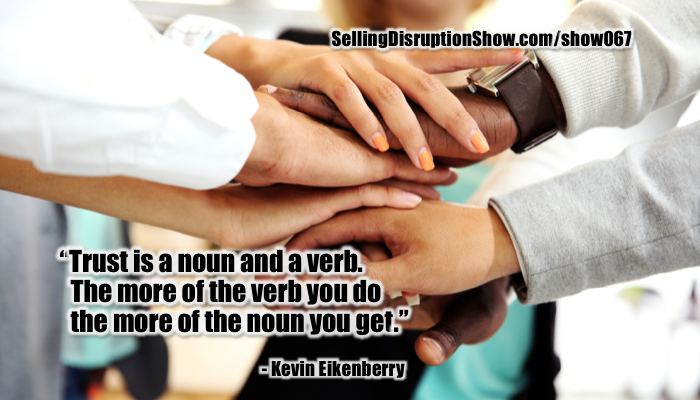 If you want to build trust, whether people are next to each other, or across the country, or around the globe the more of the verb you do the more of the noun you get. Mark S A Smith: Ha. Ha. That’s a beautiful little meme right there. Kevin Eikenberry: If you’ve got a hybrid team, it’s much easier to delegate to the guy or the gal down the hall, because you see them, “Hey, can you help them me this?” How good are you at delegating to start with? But then are you intentionally giving somethings, handing some things off to those remote folks? Are you engaging them in decision making when you really want their input? Are you intentionally doing the things that show that you trust them, and when someone trusts you how does that change your behavior? Mark S A Smith: Well it makes me more trusting of them. Kevin Eikenberry: It reciprocates, and you don’t want to lose it. You’ll take a little extra time to check the i’s and the t’s, you’ll work a little later to make sure it gets done on time before that person that trust you, because you don’t want to lose that valuable noun. There’s a lot of things that we can do as leader, be much more intentional about that. Now as a leader too we can have a conversation about what we need to do to help the team build in each other. Mark S A Smith: I think that’s quite interesting. One of my experiences in building trust also centers around consistency. Consistency engenders trust, so that fact that we as a leader are consistent in our leadership strategies, as we talked a little bit earlier, the fact that we used the webcam when there’s not bad news, and leaders can’t have bad days. Now some days can be better than others, we really don’t have the luxury of being able to expose our bad days to people. Kevin Eikenberry: The people in the office are watching, and they may know you’re having a bad day, and give you a little bit more sense of that, but if I only have 10 minutes with you on a phone call, or webcam, or whatever, then that’s all I got for the day. And then that makes a much bigger impression. It goes back to our millennial thing, if all you’ve got is three years than one year’s a big deal. If all you’ve got is 20 minutes, then that call for the whole day, “Holy crap, what’s wrong with my boss?” They don’t know any different, and so yeah we’re always on stage. They’re always watching. We’ve got to be as consistent as we can, and that’s even more true with our remote folks. They have less to work with. Mark S A Smith: Oh, that’s really good. Kevin Eikenberry: Every interaction carries more weight, because there’s fewer of them. Mark S A Smith: I like that. I’m going to real nail that down for our listener. The fact that you have remote teams means that your interactions have to be higher quality, more intentional. They have to be very structured with the outcome that you have in mind so they get what they need. They get fed with what they need. Its highly concentrate. I like it. Really important idea here. Kevin Eikenberry: And to go with that it can’t just be transactional. You didn’t imply that it was, but if people only took what you said by itself this important point could get lost. Any time you pick up the phone, you do your business you get, “Hey, I know you’re busy,” and so if someone that’s working for you says, “Man, I know you’re busy,” but you got a C in front of your name, so you’ve got to engage them in the stuff you would do in the hallway, right? Mark S A Smith: Yeah, at the water cooler. Kevin Eikenberry: The water cooler conversations in our instant messaging tool, which happens to be Slack, we have a channel called water cooler. That’s what it’s for. People can share that across the team, and it’s not about work. There’s another channel for the general work stuff, it’s called General. We literally have a water cooler channel, as a way to give people a chance to share something exciting that happened, talk about their weekend. My co-author, Wayne, was just in Guatemala to do a session. He got out just before the volcano. Where he was staying was well, let’s just say it wasn’t a Hyatt, and so he posted photos. Human interest for each other, so that people knew where he was, they had some clue what was going on. It made sense to them when they found out that he gave his presentation in his stocking feet. We got to do all the things you said in the communications as a remote leader, and we can’t make it only transactional. You make it only transactional we lose the chance to get the richness that we need to build relationship which also takes us back to building trust. Mark S A Smith: I think it’s really important to point out that if it’s just a transactional relationship there’s no leadership involved. Kevin Eikenberry: Well you might be managing but your certainly not leading. Mark S A Smith: Or you’re being a boss, there’s no leadership, and I think that’s a really important thing to identify, especially as we have these issues with full employment where people are choosing lifestyle, and culture over particular careers, so they’re going to be hiring into a leader versus just a boss or a manager. Bringing that trust and bringing that personality into play becomes part of your secret sauce and part of your competitive advantage that your competitors can’t detect. Kevin Eikenberry: Well you want to talk competitive advantage. It’s not just keeping those people. If your trying to bring new people on, and they’re going to be working remotely, then you need to think about, and change how you go about your hiring process. So for example, even if the person lives down the street, some of the interview process ought to be over the webcam. Some of the people you’re going to interact with in the interview process, ought to be done remotely. Kevin Eikenberry: You ought to be thinking about and looking at how they send email. You ought to be setting up processes so the chance to not only ask them questions about how comfort they are, and all that sort of stuff, but also what their initial skill and comfort level is that what, because it’s going to be a part of the work. We’ve not just in remote teams, or selling remotely, same thing, even if you’ve got a sales person you’re putting in the office. They’re not going to be face-to-face, nose-to-nose, toes-to-toes with everybody like they used to, so you got to be evaluating that, and helping them build those skills too. Everything we’ve talked about here would apply to a sales rep selling remotely, a slightly different context, all applies as well. Mark S A Smith: In a sales situation you still have leadership requirements, especially if your selling things that are high consideration and expensive, which is that people are going to trust you. Trust is the fundamental, when you’re selling high consideration products. And so if you can operate from a sales standpoint from a leadership vision, with your customers, you’ll go way, way further and you’ll accelerate the deal. Mark S A Smith: Lets’ talk a little bit about how do you get your team to engender trust? Kevin Eikenberry: I’ll give you two or three quick things. Here’s the first thing, hire a new person on your team. If your team is like mine, you get some people in and some people out. This would also apply if everybody was out. You get hired, and sometime within the first two weeks of your time here, here’s one of your number one job expectations. You’re going to have a conversation, phone or preferably webcam, with every other member of the team. Now in our case that 14 people. You may have other conversations with them about work, but this 30 minute call or conversation can be no more than 10 minutes about work. In other words, I want you to get to know each other, and I’m holding you accountable for that. Everybody else on the team knows that the expectation. It’s probably the single thing in the first three weeks that I’m the most vigilant about, that’s got to happen, because it gets you off to understand who people are. They get to know you. Start that trust process. Kevin Eikenberry: Here’s another thing. If you have a meeting in an office building, everybody walks in two minutes before, four minutes before, someone’s in there 10 minutes early, working on something waiting for the meeting to start. And what happens as people arrive? They start to chat. What happens for most people when they have a virtual meeting? The meeting is supposed to start at 9 o’clock, everyone show sup exactly at 9 o’clock, and the leader kicks off the meeting, “Okay, let’s get going,” So we make sure that the meeting room is open three, four, five, eight minutes early. Kevin Eikenberry: As people arrive they’re saying hello, that’s sort of expected. They’re saying hello, this and that. I’m not saying that someone who is still finishing up an email or whatever, but people are starting to interact. When I get on the call, usually three, four minutes before, but even if I get right on at the top of the call, I take a pulse of where we’re at. And although I’m very big on meetings starting on time, I may let that go for a minute or two, because they don’t have as much of that as if they were all together in a workplace. Kevin Eikenberry: Why would I want to shut that down and say, “We got to get to work,” when relationships are part of the work, because they don’t get as many opportunities. I’m not saying we’re going to go for 12 or 15 minutes, and some of you are sitting thinking, “Oh my gosh you don’t have time to hear about everybody’s ballgame experience. We got work to do.” It’s a balance. I’m just encouraging you to think about it a little differently than you do in an office. And listen I’m all for starting meetings on time, don’t get me wrong. This is another example Mark of being intentional. Mark S A Smith: What a great idea. So let our team have that personal interaction, encourage it, in small doses, as part of the lubricant to getting the job done through trust. Kevin Eikenberry: And I will sometimes consciously not show up until right on the time, even though I think if you put someone else on my team on this podcast they would say that I’m a pretty good leader, and that we have good relationships, and high levels of trust and all that stuff and I’m still the boss. Mark S A Smith: You’re still the boss. Kevin Eikenberry: They get the paycheck from me. And so they need some time without me. I had about half of my team together at a conference a few weeks ago. I purposely didn’t go to dinner with them every night. Not because I didn’t want to, but because I thought it would be better if I wasn’t. Mark S A Smith: Sure they don’t need the leader to be part of all the time. Kevin Eikenberry: They don’t need the leader there all the time, even though they don’t see me. Now, all the people that are remote got time with me during that trip, and we had together time, but I consciously got out of it part of the time too so they could interact without me. All intentional. Mark S A Smith: I love it. Intention it sounds like is the watch word for remote leadership. Kevin Eikenberry: I think it’s one of the big ones. I think nuance is another, because you know how to do things, but you may not know the nuance of doing them differently once people aren’t all in the same place. Mark S A Smith: So how do we figure out those nuances? Kevin Eikenberry: Come on, Mark. Mark S A Smith: I’m asking for the listener. Kevin Eikenberry: longdistanceleaderbook.com. There’s a lot of work that we do at the remote leader institute, remoteleadershipinstitute.com that would help. Seriously if you’ve listened to this conversation, and you take some of it to heart, your starting to head in the right direction. Mark S A Smith: All right. I love it. Well we certainly can’t cover everything that’s in the book, in the time that we have for the podcast, but we certainly covered a lot of interesting items so far. How do people get ahold of you? How do they get ahold of your book? Kevin Eikenberry: Wherever fine books are sold, you know how that goes. And you can go to longdistanceleaderbook.com. If you let us know you bought a book you’re going to get some great bonus gifts, a recording of our great webinar. You’re going to get some other stuff, and the more books you buy the bigger the bonuses get. It would be to your advantage to do that. If you go to longdistanceleaderbook.com/podcast there’s some special bonuses there just because you listened. Mark S A Smith: All right. I love it. And then how do they get ahold of you, if they’d like to bring you in to have a conversation with their team or gets some coaching? Kevin Eikenberry: The best place to start is Kevin Eikenberry.com K-E-V-I-N E-I-K-E-N-B-E-R-R-Y.com that’ll give you the full range of our services. You can reach out to us from there, and if you’ve got that spelling Google will find us, anywhere you want, any social media channel. Reach out, send me a note on Twitter or Facebook, or whatever. We’ll be happy to chat. Mark S A Smith: I know that your very active on Twitter. You’ve got lots of great Tweets that go out on a regular basis. I’ve been following you on Twitter for a long time, so I’ll have all of this up on the show page, ways to get ahold of Kevin, get ahold of his new book, The Long-distance Leader. 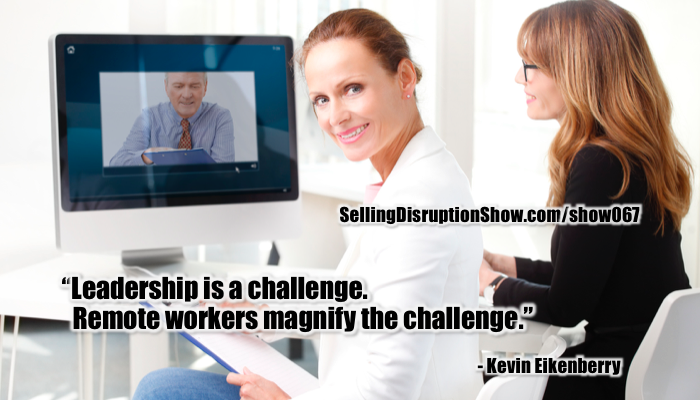 Thanks for being a great guest and providing disruptive ideas for our listener on how to be a long distance leader. Kevin Eikenberry: Mark, it’s been a pleasure to be with you today and to have a chance to chat about some of these ideas.